P.F. Chang's, Twin Peaks Restaurants, and The ONE Group awarded top honors for innovation at the MURTEC Executive Summit. Digital engagement, data and security are among restaurants’ top strategic goals for technology and this year’s Breakthrough winners align with those findings,” Dorothy Creamer, editor of Hospitality Technology magazine. 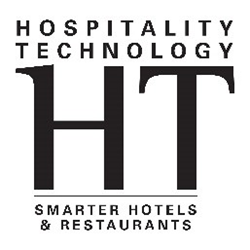 Hospitality Technology (HT) is the only publication dedicated to covering the role of information technology in improving business performance for both hotel and restaurant operators. The Hospitality Technology editorial portfolio includes: a print publication that publishes nine times annually and reaches more than 16,000 hospitality industry executives, three networking and educational events (MURTEC, HT-NEXT and MURTEC Executive Summit), a comprehensive website, e-newsletters, web seminars, and several exclusive annual reports and studies. Visit Hospitality Technology online at http://www.hospitalitytech.com. Hospitality Technology is published by EnsembleIQ, headquartered in Chicago. NovaDine provides enterprise-class POS integrated digital and mobile ordering solutions to multi-unit restaurant operators. Multiple prominent chain restaurants like Panda Express, Pollo Tropical and Taco Bueno have deployed the feature-rich turn-key solution to support their online and mobile ordering since the company's founding in 2007. To date, more than 25 million orders have been processed for clients, across multiple continents, in multiple languages. NovaDine is an innovator in the market place with unique features like its patented Group Ordering; the recently introduced full menu/order/POS integration with Grubhub; and Delivery As A Service integration with Grubhub, UberRush, Postmates and DoorDash. For more information, visit http://www.novadine.com.